Professional Fellows for Governance and Society is administered by World Learning on behalf of the U.S. Department of State’s Bureau of Educational and Cultural Affairs. The program will begin with an orientation in Washington, DC that focuses on the structure of the U.S. government, the legislative process, and the role of civil society. Next, participants will take part in a four-week fellowship in one of several U.S. cities, which includes professional assignments at local/state/federal government offices or NGOs, seminars and observational site visits, homestays with local families, and volunteerism. 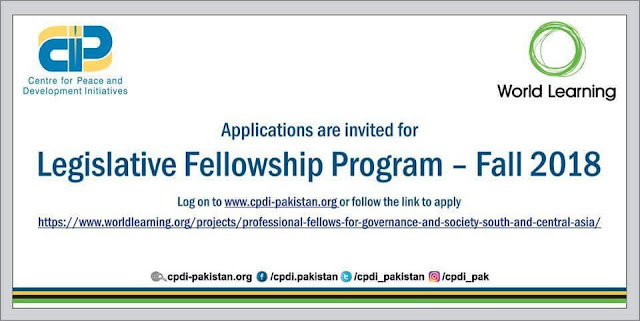 Participants then return to Washington, DC for the concluding Professional Fellows Congress, which includes workshops, dialogues, meetings with U.S. Government officials, and a program debrief. Following the U.S. program, American Fellows will travel to India, Pakistan, and Nepal to participate in workshops, consultations, and provide support to follow-on projects. What logistical arrangements are provided by the program? Accommodations will include double-person hotel rooms and homestays with American families and peers. A small stipend will be provided during the participants’ time in the United States to cover basic living expenses. The cost of international and domestic travel, program-related ground transportation, cultural activities, and all the other programmatic and logistical arrangements will be covered. Does the program provide health insurance coverage for the participants? What are the visa requirements for this program? Participants will be required to apply for a J-1 visa for work and study-based exchange programs. The visa process will be conducted by local U.S. Embassies and Consulates in conjunction with local partners and World Learning. The visa will cover the program travel dates only. In accordance with this visa’s two year residency requirement (212(e)) participants are required to return to their home country for at least two years at the end of your exchange visitor program. Candidates from India, Pakistan, and Nepal will be professionals ages 25-40. We seek candidates with excellent interpersonal and communication skills, proven leadership abilities, the ability to work in a cross-cultural setting and a commitment to the program and follow-on activities. Written and oral English proficiency is required as the participants will need to converse about complex political and global issues with U.S. peers and experts. Preference will be given to applicants with relevant professional achievements who have not previously visited the United States. All candidates should be able and willing to host American counterparts, for up to a week, and design, arrange, and coordinate, under World Learning and its partners’ supervision, a local professional and cultural program for the American participants. What professional experience is relevant to this program? Applicants should have experience in the legislative process and/or policymaking, including: good governance (transparency, anti-corruption, right-to-information), legislative and political processes, including the role of women, minorities, and marginalized populations in them, youth politics and student leaders, climate change and environment, and trade and regional connectivity. Such experience can have been attained through their work in government, civic education organizations, citizen advocacy groups, political campaigns, political parties, or election monitoring organizations. I’ve submitted my application, what’s next? Now that your application has been submitted, it will be reviewed by the selection committee. Please keep in mind that there is a large volume of highly qualified applications, so this process will take some time. Once the shortlisting process is complete, you will receive an email from World Learning detailing your application status.